Mount David rises 381 feet above sea level. Chided as a “mountain by courtesy” by a newspaper writer a century ago, the peak is also known as “Mount Davis,” “Davis Mountain,” and “David’s Mountain,” tautonymic variations due to its namesake, a man named David Davis, born Sept. 1, 1775, and died Jan. 5, 1851. 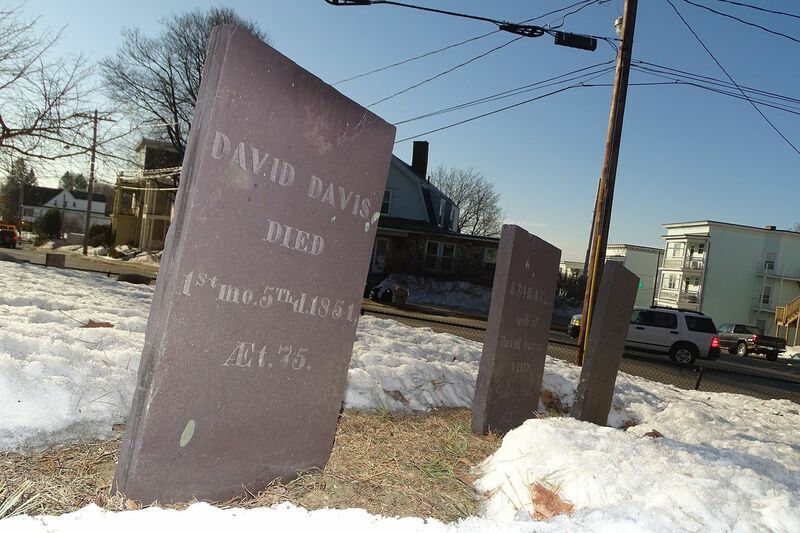 David’s father, Amos Davis, was Lewiston’s third settler. A Quaker, Amos was a farmer, shoemaker, and surveyor who drew one of the earliest maps of the area, dated 1776. His son David was the second male born in Lewiston. In 1798, when public education was still a haphazard affair, David Davis and four other citizens teamed up to hire one of the first Lewiston schoolteachers. In 1803, David Davis paid $5 for 100 acres of land that included the mountain. He then named it for himself, according to some accounts. David Davis farmed the land until his death in 1851. His heirs bequeathed the mountain to Bates, which hoped to build an observatory on its summit. The original David Davis home on Main Street in Lewiston was the oldest building in the city, and one of the most run-down, when it was torn down in 1989. Davis, Frye, and White streets near campus are all named for the same family. The mountain lends its name to the college’s leadership giving group, the Mount David Society, and the college’s annual academic showcase, the Mount David Summit. Many of David Davis’ direct descendants are Bates alumni, the youngest being his great-great-great-great-great-grandson, Toby White ’94, an associate professor at, of all places, the University of California at Davis School of Education. Toby’s great-grandmother was Marion Wellman White, who, according to family history, attended Bates for a year but was expelled for the sin of skating on the campus bog (named Lake Andrews years later) on a Sunday morning.